Anything but the traditional wine-and-fruit mix, this Camille Becerra gluten-free turmeric sangria cocktail recipe is one of the fiercest, most exciting libations we’ve had in a long time. 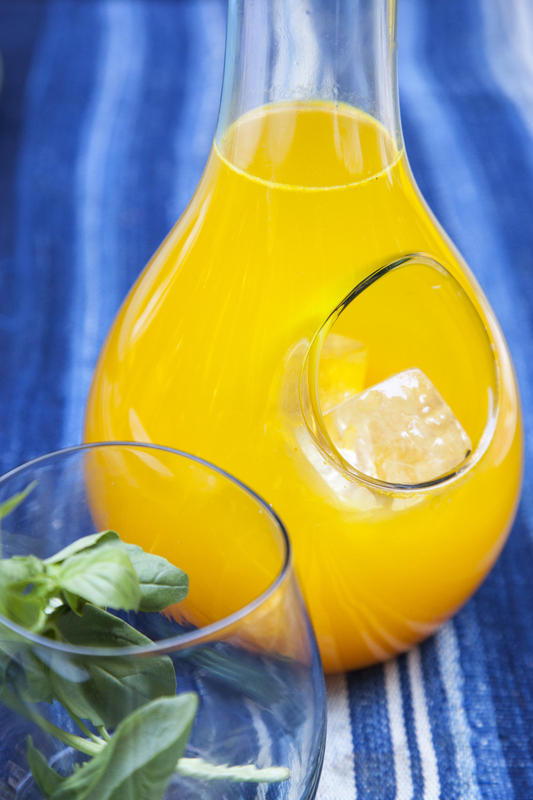 Make your sangria with sparkling wine to wow everyone at the party and know that you're enjoying totally gluten-free and very anti-inflammatory turmeric with your sangria You’ll need to juice fresh turmeric root with a juicer or get a juicing shop to do it for you. But trust us, it's worth the effort. And beware: turmeric juice stains. In a pitcher, add the juices and honey and stir until combined. Add the wine, stir, pour into glasses, garnish with a basil sprig, and serve.